Funksiyalar nəzəriyyəsi və funksional fəzalarda inteqral operatorlar nəzəriyyəsi. Lokal cəmlənən funksiyaların orta ossilyasiyasının köməyi ilə yeni metrik xarakteristikalar daxil edilmiş və onların vasitəsilə yeni funksional fəzalar təyin edilmişdir. Həmin fəzaların məlum orta ossilyasiya fəzaları ilə ( və s. tipli fəzalarla) əlaqələri öyrənilmişdir. 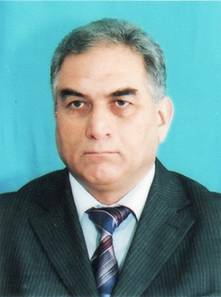 Orta ossilyasiya fəzalarında çoxölçülü sinqulyar inteqral operatorların məhdud təsir etməsi haqqında teoremlər isbat edilmişdir. Maksimal sinqulyar inteqral operatorun, potesial tipli inteqral operatorların orta ossilyasiya xassələri öyrənilmişdir. Hamarlığı ölçən maksimal funksiyanın köməyi ilə sinqulyar inteqralın və Riss potensialının müxtəlif lokal və qlobal struktur xassələri araşdırılmışdır. Bürünmə tipli sinqulyar inteqralların orta ossilyasiya terminlərində approksimativ xassələri araşdırılmış və alınan nəticələr çoxqat Furye sırasının cəmlənməsi məsələlərinə tətbiq edilmişdir. International Conference devoted to the 100-th anniversary of academician I.I.Ibrahimov, Baku, 2012 International Conference dedicated to the 90-th anniversary of H.Aliyev. Baku, 2013. Rzaev R.M. A multidimensional singular integral operator in spaces defined by conditions on mean oscillation of functions. (Russian) Dokl. Akad. Nauk. SSSR 314 (1990), #3, 562-565; translation in Soviet Math. Dokl. 42 (1991), #2, 520-523. Approximation of essentially continuous functions by singular integrals. (Russian) Izv. Vyssh. Uchebn. Zaved. Mat. 1989, #3, 57-62; translation in Soviet Math. (Iz. VUZ.) 33 (1989), #3, 90-99. Local theorems for the approximation of periodic functions. (Russian) Izv. Vyssh. Uchebn. Zaved. Mat. 1989, #8, 85-88; translation in Soviet Math. (Iz. VUZ.) 33 (1989), #8, 119-122. On the order of locally summable functions approximation by singular integrals. Funct. Approx. Comment. Math. 20 (1992), 35-40. A multidimensional singular integral operator in spaces defined by conditions on the k-th mean oscillation. (Russian) Dokl. Akad. Nauk. (Russia) 356 (1997), #5, 602-604. A multidimensional singular integral operator in the spaces and . (Russian) Izv. Vyssh. Uchebn. Zaved. Mat. 1997, #3, 52-60; translation in Russian Math. (Iz. VUZ.) 41 (1997), #3, 51-59. On some maximal functions measuring smoothness, and metric characteristics. Trans. Acad. Sci. Azerb. Ser. Phys.-Tech. Math. Sci. 19 (1999), #5, Math. Mech., 118-124. John-Nirenberg’s theorem for the high order mean oscillation and its applications. Proc. Inst. Math. Mech. Natl. Acad. Sci. Azerb. 14 (2001), 72-78. Inequalities for some metric characteristics. Trans. Natl. Acad. Sci. Azerb. Ser. Phys.-Tech. Math. Sci. 23 (2003), #1, Math. Mech., 173-180. Singular integral operators on . Trans. Natl. Acad. Sci. Azerb. Ser. Phys.-Tech. Math. Sci. 23 (2003), #4, Math. Mech., 173-182. On local properties of functions and singular integrals in terms of the mean oscillation. Central European Journal of Mathematics, 2008, v.6, #4, 595-609. Some boundary properties of Cauchy type integral in terms of mean oscillation. WSEAS Transactions on Mathematics, 2012, v.11, issue 2, p.135-145. Properties of singular integrals in terms of maximal functions measuring smoothness. Eurasian Mathematical Journal, 2013, v.4, №3, p.107-119. Some embedding theorems and properties of Riesz potentials. American Journal of Mathematics and Statistics, 2013, v.3, №6, p.445-453. Approximation of functions by singular integrals. Pure and Applied Mathematics Journal, 2014, v.3, No.6, p. 113-120. Φ-maximal Functions Measuring Smoothness. American Journal of Mathematics and Statistics, 2015, v.5, №2, p.52-59.